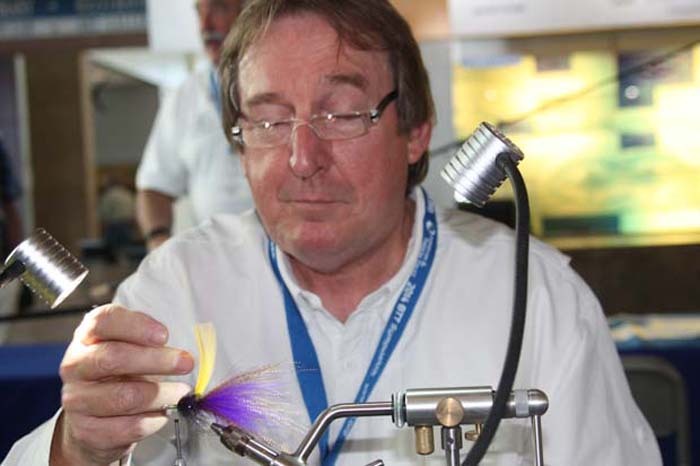 Don Reed headlining fly tying at Bonefish & Tarpon Trust Symposium. Clement image. Tie one on kit . . . Seven essential tying tools, packed in a travel case the size of your phone! 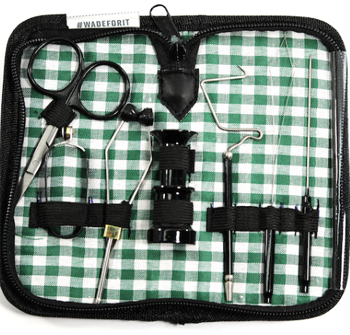 This kit has all the essential tools you need to get tyin’ on the go. Comes in a Leather Travel Case.